Be a Nurse -- What? The lamp that you may remember Florence Nightingale carrying is the symbol of nursing because it represents how nurses interact with patients. They persistently watch over their patients to spot signs of deteriorating health. When nurses find trouble, they make plans about how to stop the patients' decline and put them back on a path of recovery. The decisions that nurses make in the face of health problems, large and small, are based on years of education. And they make the difference in whether patients survive. Nurses don't just provide physical care. Nurses educate their patients about how to care for themselves and work for a state of wellness. Looking at health from a broad, preventive perspective, they guide patients in how to stay healthy, rather than just treating one problem after another. Nurses also care for the psychological and emotional health of their patients. Nurses advocate. That means they fight for the rights and health of their patients as if they were the nurses' own family members. Sometimes in hospitals people make errors, such as by prescribing the wrong medication, doing a procedure on the wrong patient, or even amputating the wrong body part. Nurses must protect patients from these errors. Research shows that health care errors are the third leading cause of death in the U.S.! Television often makes people think that nurses in hospitals work for physicians and must do what they say. This is not true! Nurses report to supervisors who are nurses. Physicians cannot hire or fire nurses. So this division of power allows nurses to be the important backstop preventing physician error. If physicians prescribe a medication or procedure that a nurse thinks is dangerous, nurses are legally bound to object and negotiate for a better solution. Nurses also fight for patients in other ways. One example is resisting those who might push moms to bottlefeed instead of breastfeed. Nurses know that babies who are fed formula are more likely to suffer illness and death than babies who are breastfed. Of course, it is not easy for nurses to resist more powerful groups and persons, but good nurses do so when they must to protect their patients. Nurses work to promote policies, such as environmental measures, that promote and protect the health of everyone on the planet. Nursing scholars educate the next generation of nurses in the colleges where nurses are educated. These nurses also carry out research that changes how health care is delivered and save lives. Nursing scholars and nurses who lead research teams generally earn PhD degrees, which take about 4-6 years to earn after becoming a registered nurse. Only serious students need apply! Advanced practice registered nurses (APRNs) use the holistic nursing practice model to undertake care traditionally done by physicians. First they become registered nurses and then generally practice for several years. Then they go on to earn graduate degrees in nursing -- usually masters or doctor of nursing practice (DNP) degrees. The educational requirements are in transition, so today's career seekers will likely need a DNP to practice at the APRN level. APRNs include nurse practitioners, nurse midwives, nurse anesthetists, and clinical nurse specialists. APRNs make diagnoses, prescribe medications, manage chronic and acute illness, and perform complex invasive procedures. Extensive research shows that the care APRNs provide is at least as effective as care provided by physicians. 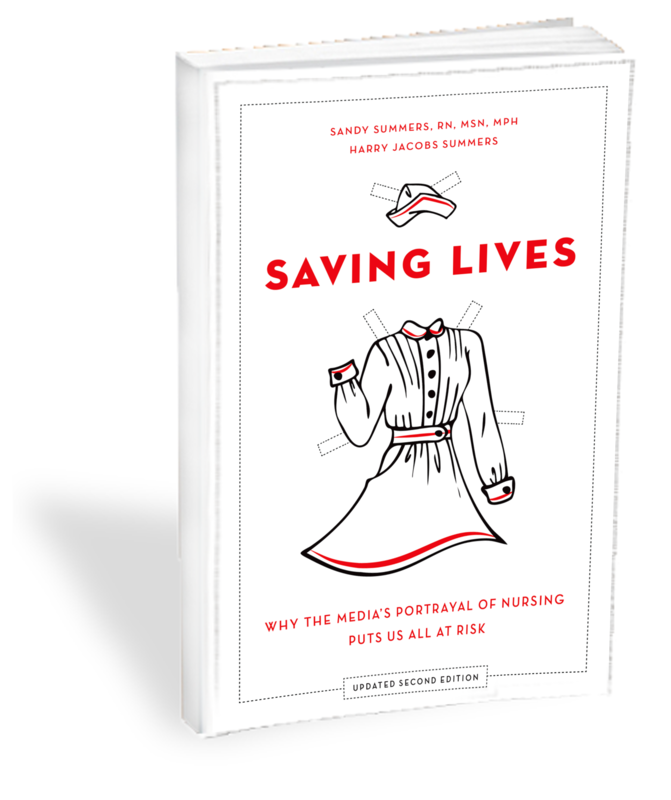 See an exciting array of things that you never knew nurses did. The making of an ICU nurse-- A great 4-part series of articles in the Boston Globe. Swamp Nurse -- The work of a family partner nurse in the bayou. Two Cups: The healing power of tea-- A story about a nurse who saved her patient's life with a cup of tea. Care and chaos on the night nursing shift-- An article by a first-year nurse who was formerly an editor at the Wall Street Journal. Intensive care: Story of a nurse -- Bestselling author Echo Heron's book on her experiences in the ICU. Nursing and the word -- Courtney Davis on her experience as a nurse. One Nurse At A Time -- A blog featuring the experiences of foreign aid nurses. What does a nurse really do? One patient's perspective. Why every week should be nurse appreciation week -- A physician's perspective on the value of nursing. American Nurses Association -- Information on becoming a nurse. I am your registered nurse-- Download a poster to inspire you. If you would like a bumper sticker (pictured below) to tell the world why nursing matters, we have them available for as low as 30 cents each, just click here to order. Thank you! The long-term job outlook for nursing is very good. According to the U.S. Department of Labor Statistics, RN jobs will increase by 16% by 2024. In 2014, the average RN earned $69,790. Advanced practice nurses earn more. The Code of Ethics for Nurses is the guiding document on how nurses conduct themselves as professionals. It says that nurses will practice with compassion and respect for the patient; be committed most of all to the patient by advocating for patient health, safety and rights; be autonomous and personally responsible for how they practice nursing; promote health not just for patients, but for communities, nations, and the global population; speak to the world about nursing values, and shape social policy. Where do nurses practice? Tell me about nursing specialties.